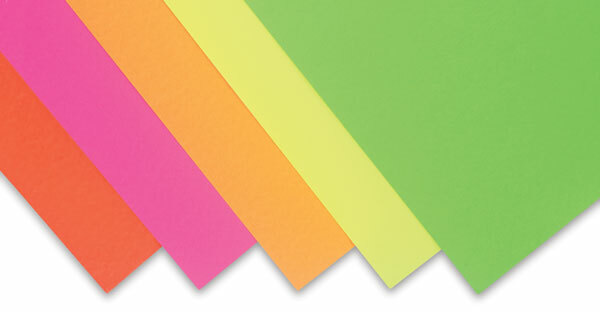 Neon Poster Board is a truly rigid 12-pt board that accepts all dry and wet media. It has a smooth, hard finish and features vivid, fade-resistant color on both sides. 25-Sheet Assortment — This assortment includes five each of Hot Red, Hot Pink, Hot Orange, Hot Lemon, and Hot Lime.